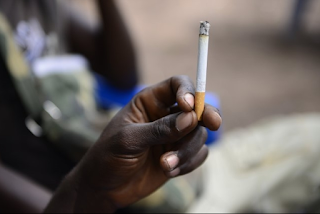 Nairobi, 25 February 2015 – On 27 February, the World Health Organization (WHO) celebrates 10 years of implementation of the WHO Framework Convention on Tobacco Control (FCTC) in the African Region. Tobacco kills an estimated 6 million people every year but the true impact remains untold due to the lag of several years between when people start using tobacco and when their health suffers. To date, 43 of 47 Member States in the WHO African Region have ratified the WHO FCTC and are implementing national tobacco policies, laws and regulations. However, much remains to be done and urgent actions are required to prevent the effects of this scourge of modern times. Besides premature death, the use of tobacco robs families of incomes, raises health care costs, and hinders economic developments. “WHO is committed to fighting this global tobacco epidemic and the WHO Framework Convention on Tobacco Control reaffirms peoples’ right to the highest standard of health. All stakeholders must counter the dangerous health, social, environmental and economic effects of tobacco,” says Dr Matshidiso Moeti, WHO Regional Director for Africa.